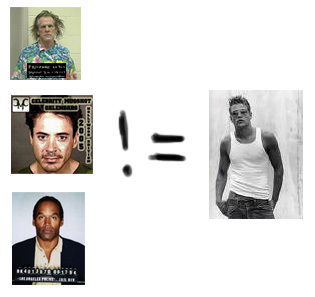 Celebrities often look really ugly in their DUI mug shots. Hey, at least I'm not a prisoner! I tried to convert my robber friend to the side of the law, but it didn't work. The masked robber explained that he was right to flee the scene when the alarm went off. 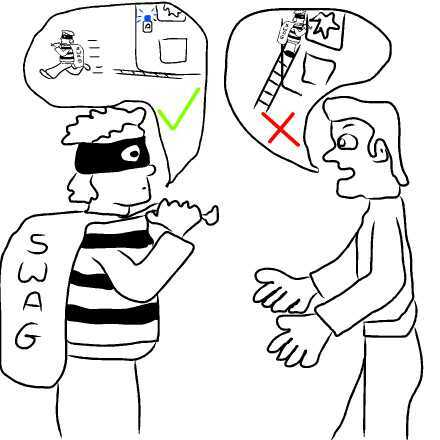 His buddy replied, "You shouldn't have climbed the ladder and broken the window; you already had a full bag of swag and breaking the window set off the alarm."